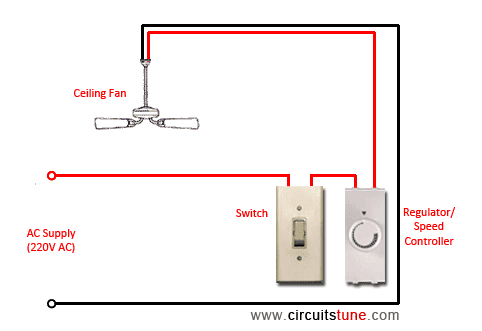 This is a simple illustrated circuit diagram of ceiling fan. To be noted that the wiring diagram is for AC 220V single phase line with single phase ceiling fan motor. Here a simple SPST switch is used to supply power or not to the fan motor and a Regulator is used to controlling the fan speed. Though it is very simple, but one thing to be noted that Switch and Regulator should be connected with the phase line of main power, not neutral. Ceiling fan has a “capacitor start motor” in its inside. AC single phase capacitor start motor has two winding; one is starting winding and another is running winding. As it is a capacitor start-capacitor run type motor; there a capacitor is used in series with Starting Winding, It defines the direction of rotation. 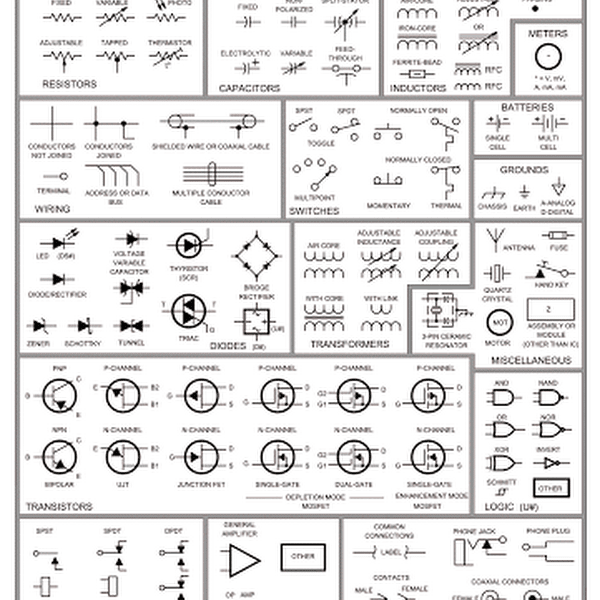 It is an electrolytic capacitor. Why ceiling fan rotating in reverse? What makes a ceiling fan run backwards? 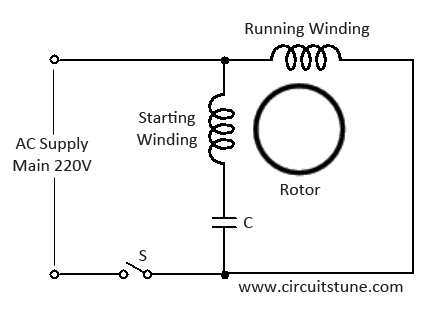 Two of this question sounds the same; the answer of the both question is “If capacitor is connected with running winding/main coil instead of starting winding/auxiliary coil then the direction of rotation will changed. That’s mean if you want to change the direction of rotation of the fan, just connect the capacitor with other winding. One of the fans continue to run at high speed. Regulator has no effect. I checked the regulator with another fan and found it working perfectly. Both fans have 2.5 microfarad cap. What could be wrong !!! Check your connection. It is due to wrong connection of the regulator/resistor. Great discussion....I have a cheap commercial fan with no reverse switch...I moved the cap to the other winding, and indeed it does reverse...but...it runs at about 1/4 the "forward" speed. Curious if that means that the starting winding is made different than the running winding? My fan's speed is low. I bypassed the regulator but with no effect. I tried by changing the capacitor as well,no luck.Regulator can be adjusted but getting slow speed only.Get me some tips pls. Why connect to capacitor in celing fan?? ?